M/s Konark Industries is one of the leading professional designer & manufacturer as well as exporters of redler conveyor. It’s is used where bulk material has to be convey with high capacity of flow. It is design according to the application of the clients. Redler chains are used for scraps and conveying application for conveying dry and free flowing and non abrasive material and the same are available in single and double strand. 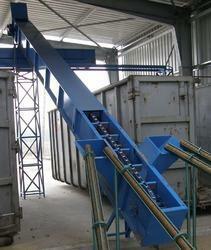 The Chain Conveyor provided by us is well known for its high speed operation. It is used for the movement of goods. We are a noteworthy organization in the domain of providing a superlative quality Chain Conveyors. It is manufactured by using highest quality raw material with the help of sophisticated technology. with years of experience in manufacturing and installing such equipments is well qualified to make reliable recommendations on chain conveyor. 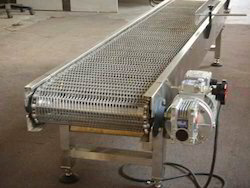 A chain conveyor consists of one or more endless chains that travel the entire conveyor path. Loads are carried directly on the chain links or on specially designed elements attached to the chain.